In the span of just a couple of hours, Susie heard the stories of two women who had been dealing with thorny relationship issues with their partners and didn’t know what to do. One woman said that she had sick kids and she and her husband disagreed about whether to take them to a family physician for treatment or to a naturopathic doctor for alternative care. She felt really strongly about taking a more natural approach to healing and her husband thought the kids were so sick that they needed a more immediate solution than the “natural” remedies would provide. Another woman told me that her partner was “friends” with a woman at work and she was worried that their relationship would go beyond friendship. Her partner had dismissed her fears and denied that anything was going on. In both cases, neither woman felt heard or understood. We all come up against thorny relationship issues from time to time, whether it’s with an intimate partner, family members, friends or co-workers. And the reality is that both of you “lose” in situations like these because of disconnection, resentment and loss of trust. 1. Recognize when you are deeply invested in being right and turn your attention inward. Now this doesn’t mean that you can’t have strong opinions or values. It does mean to get conscious about how you’re coming across to the other person when you do. And you discover this by tuning inward to find out how your body is responding to your convictions. 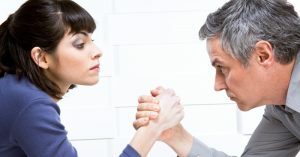 Is your jaw tense and hard that show the other person a hard, unbending exterior? Are you taking very short, shallow breaths that’s upping the anxiety level? Are your eyes piercing and hard which discourages discussion and makes the other person to get defensive and hold onto his or her opinion even more fiercely? Check in with how your body is reacting and consciously relax parts that are tense by taking some slow deep breaths. 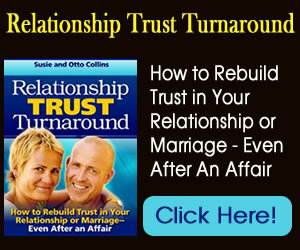 This builds trust and promotes openness in both of you. So often, when we hang onto being right, creativity is blocked and you’re unable to discover a solution that might be acceptable to both of you. When you find your mind fixated on an absolute truth that is directly in opposition to your loved one, take a moment, relax and allow for the possibility for a new, fresh idea to emerge. It’s surprising how this simple “strategy” has inspired trust in our relationship when we’ve allowed the space for another way or solution to come to light. “Whenever I’ve realized that I’m just in a ‘thought storm’ of negativity about Otto and that I don’t have to buy into it–magic seems to happen. “I get softer in my body (no, that doesn’t mean that I ‘give in’ all the time) and I’m more of an invitation to him to also soften and open to me. Our wish for you is tons of more trust and love in your life and that begins with you and how you’re able to navigate those “thorny issues” that are inevitable in relationships. Choose a new way today!